All of PAI’s open programmes can also be run on an in-house basis. Over the last two years PAI have recently experienced a huge increase in the demand for tailored, in house training. We have worked closely with our clients to understand their learning & development needs thus enabling us to design and develop bespoke programmes that meet their organisational goals and objectives. Following a detailed consultation on content, design and delivery involving the client and the subject matter expert/trainer, PAI can develop a customised programme for your organisation addressing key learning and development needs. This method of training will ensure quality, effectiveness and tangible results. PAI offers private, customised training exclusively for an organisation’s own staff, ranging from ½ day CPD sessions to accredited 12-week programmes. A tailored training course is bespoke to your organisation and takes in to consideration the individual requirements of your business. In our experience, tailored training specific to your team’s needs can yield some very important benefits. Tailored: All in-house training is tailored to your organisation's needs. Choose the date, location and content that suits you best. Cost effective: If you have four or more staff with similar training needs, in-house training delivers maximum value for money. Return on investment: Participants take what they have learned and apply it immediately, maximising the return on your investment. 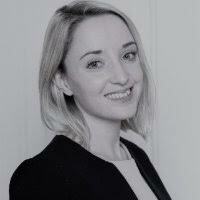 Our In House Training Manager Joanne O Sullivan will manage all aspects of programme organisation and delivery. She will work in consultation with you to ensure that the material content is appropriate, meaningful and effective. All logistics, learning materials, feedback and follow on will be managed by a dedicated account manager on your behalf. "Excellent, engaging trainer, builds good rapport and creates a great dynamic in the room." "The trainer was absolutely excellent - she used easily identifiable examples during the session." "A well presented, evidence based programme, which adopted a realistic approach to improving my skills." "An excellent course, I’d really recommend to colleagues!" "I found the course exceeded my expectations."